fixed telephony with many advantages Add this service to your internet connection and do not give up your landline forever. Bring your number with us or request a new one at the lowest market price. AVAILABLE FOR: 2MB, 4MB and 8MB 1000 MIN. A FIXED FREE 250 MIN. A MOBILE FREE 0 € estableciento CALL * Stay 12 months * Surpassed bonds: No cost of call establishment. Calls to mobiles: 0.096 € / minute (VAT included). 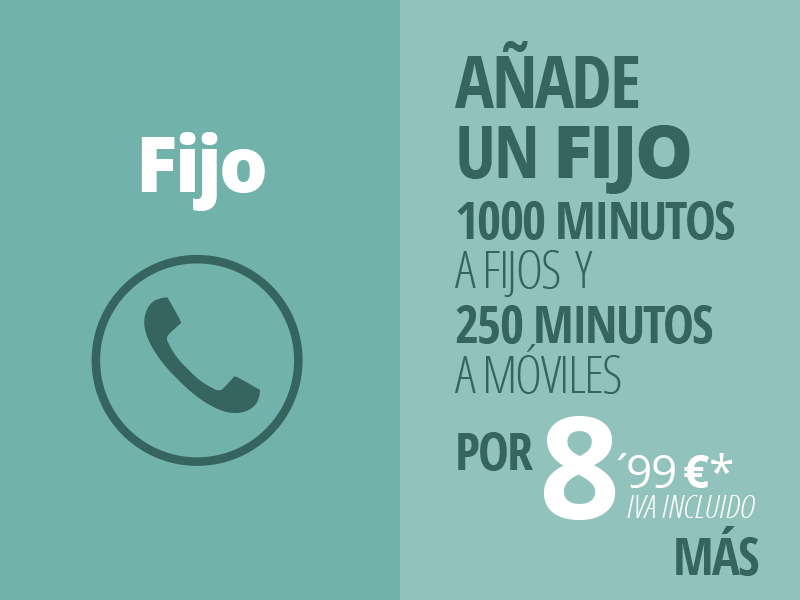 Calls to landlines 0.018 € / minute (VAT included).